김혜정, 이강이,(2016).마사지가 요양병원 입원노인의 우울과 자아존중감, 생기에 미치는 효과.한국간호교육학회지,22(2),202-209. Purpose: The purpose of this study was to examine the effects of hand massage on depression, self-esteem and vitality in elderly patients in convalescent hospitals. Methods: This study employed a nonequivalent control group pretest-posttest design. The subjects were 24 elderly patients in the experimental group and 25 in a control group in a convalescent hospital located in G city. Data were collected using a questionnaire that relied on the geriatric depression scale (short form) by Sheikh and Yesavage; the self-esteem scale by Rosenberg; and the vitality scale used by Johnson and revised by Oh. The experimental group were treated with a general hand massage using only carrier oil on both hands for 10 minutes a day for seven days. The control group was given no treatment. The collected data were analyzed using t-test, x²-test, and Fisher’s exact test with SPSS Win Version 18.0. Results: The results are as follows: The experimental group showed a significant improvement in depression, self-esteem and vitality than the control group. Conclusion: The results showed that hand massage was an effective intervention program for depression, self-esteem and vitality of elderly patients in convalescent hospitals. Barr, J. S., & Taslitz, N. (1970). The influence of back massage on autonomic function. Physical Therapy, 50(12), 1679 -1691. Carter, M., & Weber, T. (2000). Hand reflexology. New Jersey: Prentice Hall. Chang, S. Y., & Koh, H. J. (2008). Effects of aromatherapy hand massage on anxiety and depression in patients with terminal. 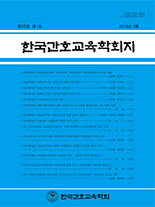 Keimyung Journal of Nursing Science, 12 (1), 49-58. Cohen, J. (1992). A power primer. Psychol Bull, 112(1), 155-159. Jeon, B. J. (1974). Self-esteem: A test of its measurability. Yonsei a Collection of Treatises, 1(1), 107-130.